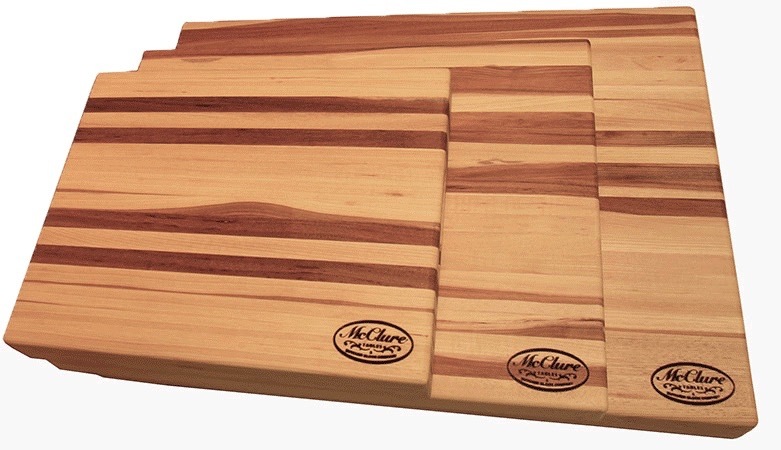 Available in an array of styles and designs, McClure’s custom butcher block cutting boards make for perfect kitchen aides. 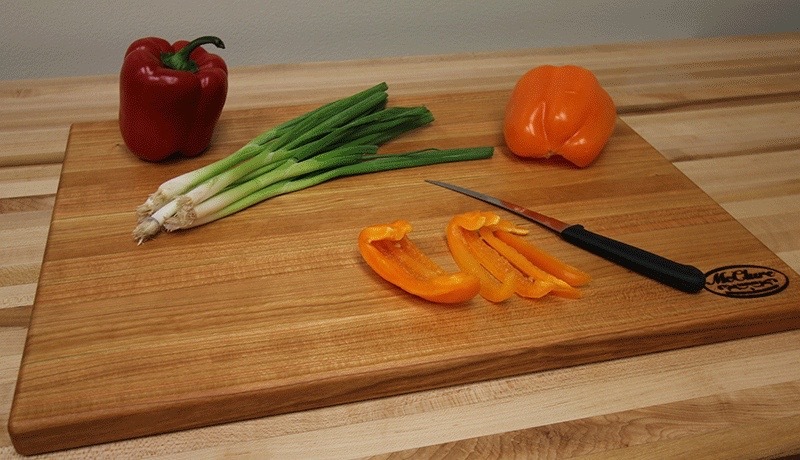 These beautiful, handcrafted edge grain cutting boards are sourced from the finest woods available and built to withstand sharp cutlery. 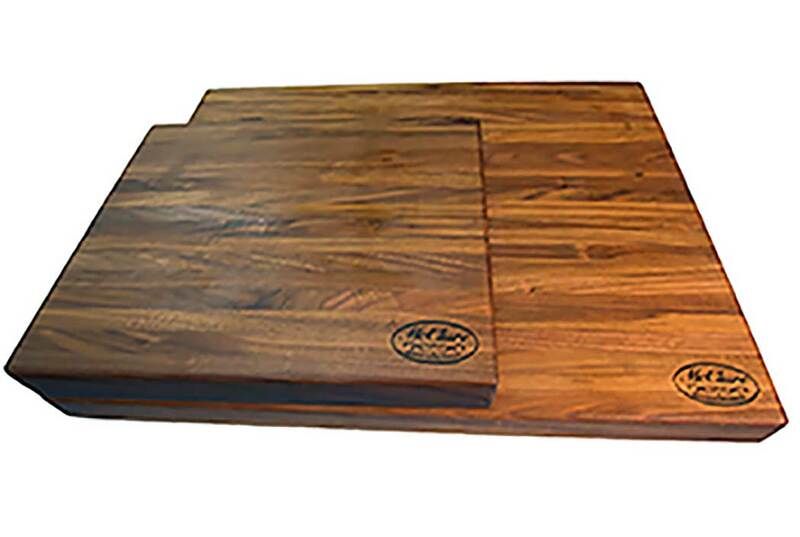 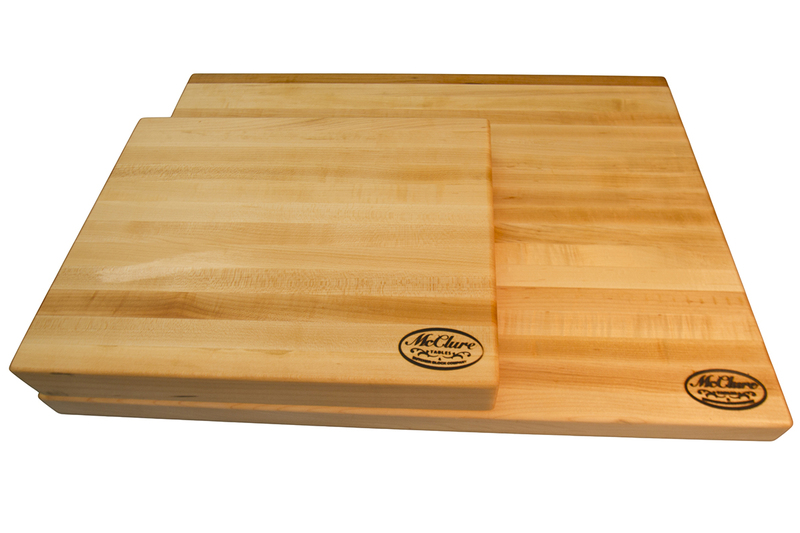 Each one of our butcher block cutting boards is coated with McClure’s Chef’s Choice finish to ensure that every surface is 100% food safe and bacteria resistant. 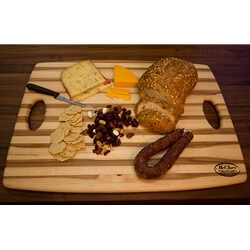 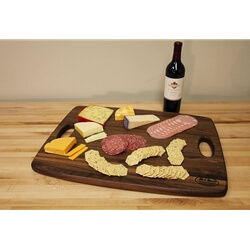 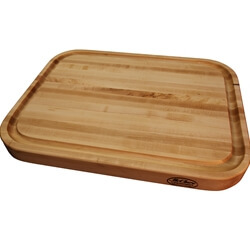 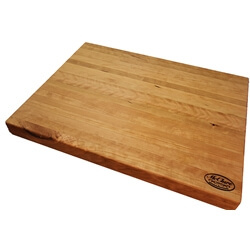 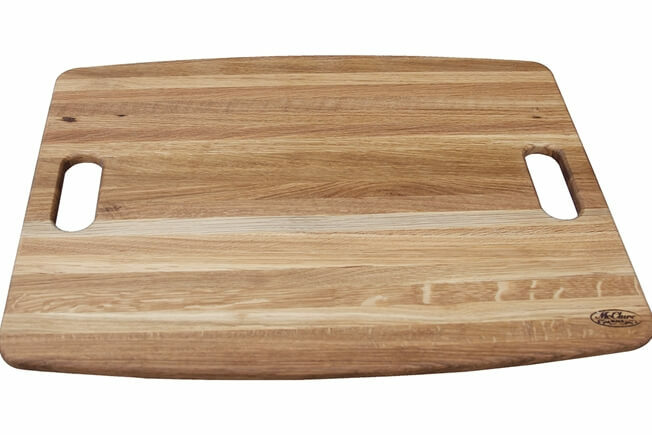 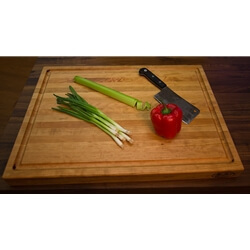 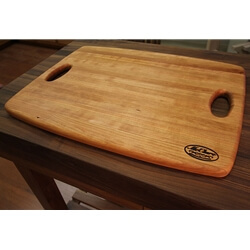 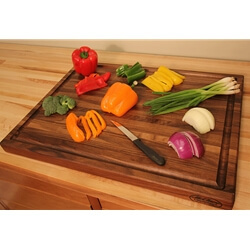 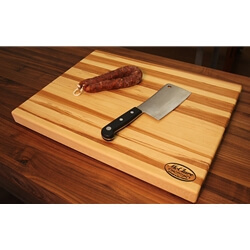 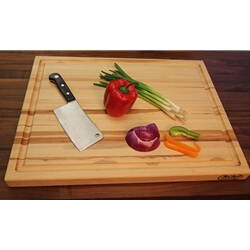 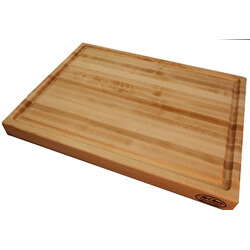 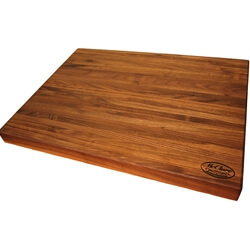 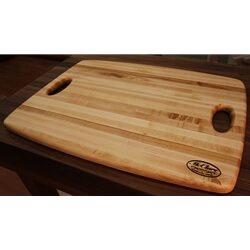 We offer cutting boards in several wood choices and all are made using locally harvested hard woods. 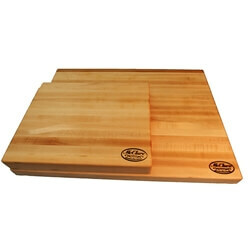 We offer Cherry cutting boards, Maple cutting boards, Hickory cutting boards or Walnut cutting boards. 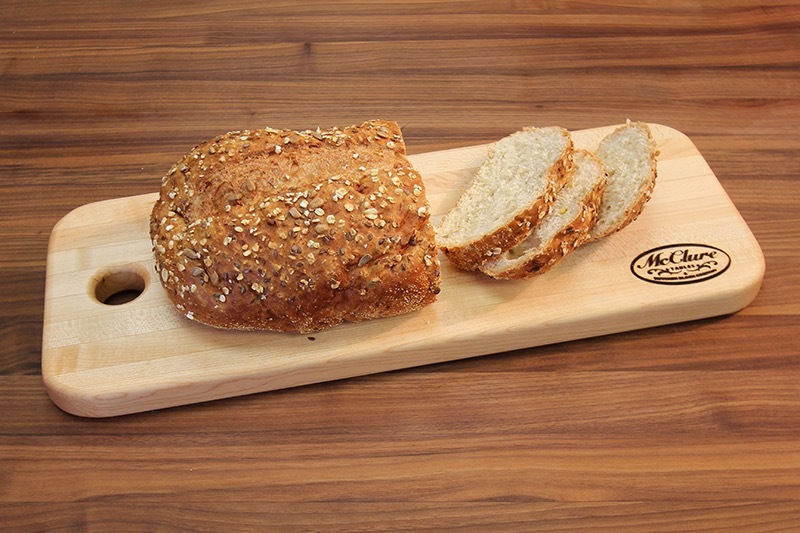 Hickory Serving Platter with Handle Reversible 1"